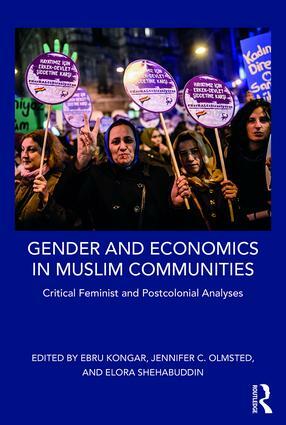 Bringing together feminist analyses of economic processes and outcomes with feminist critiques of Orientalism, this book examines the diverse economic realities facing women in a range of Muslim communities. This approach pays special attention to the role of Islam in economic analyses of gender equality and women’s well-being in Muslim communities, while at the same time challenging biased and inaccurate accounts that essentialize Islam. Nuanced case studies conducted in Bangladesh, Iran, Israel, Nigeria, and Turkey illustrate the historical and institutional diversity of Muslim communities and draw vivid pictures of the everyday economic lives of Muslim women in these communities. These studies are complemented by quantitative analyses that extend beyond inserting Islam as a dummy variable. The contributions represent a wide range of disciplines, including anthropology, economics, gender studies, political science, psychology, and sociology. By placing critiques of Orientalist scholarship in direct dialogue with scholarship on economic development in Muslim contexts, this diverse collection illustrates how different methods and frameworks can work together to provide a better understanding of gender equality and women’s well-being in Muslim contexts. In doing so, the authors aim to facilitate conversations among feminist scholars across disciplines in order to provide a more nuanced picture of the situation facing women in Muslim communities. Diverging Stories of “Missing Women” in South Asia: Is Son Preference Weakening in Bangladesh?